With its sweet coconut flavor and affinity for other tropical ingredients, Malibu rum is best showcased in cool cocktails that evoke the pleasures of a summer vacation. 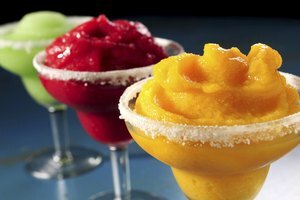 The coolest of them all are frozen drinks, which combine the frivolous fun of a slushy with the adult indulgence of a rum-rich cocktail. 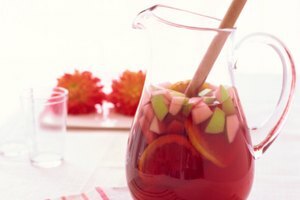 You can keep it simple with just ice and a favorite mixer, or call on a well-stocked liquor cabinet and bevy of fresh and frozen fruits to create more complicated concoctions. A decent blender is essential; paper umbrellas are optional, but highly recommended. Most well-known rum-based cocktails can be easily transformed into frozen cocktails simply by blending the standard ingredients with a cup of ice per serving. Malibu is the ideal rum choice for a pina colada, made with pineapple juice and coconut cream (substitute coconut milk or coconut water for a lighter version). It's also great in frozen daiquiris. The basic components of a daiquiri are rum – so just use Malibu – triple sec, fresh lime juice and simple syrup, but most fruit juices and fresh or frozen fruits can be added, too. Try blending in a banana and a little coconut milk, or frozen berries and a splash of orange juice. A sea breeze is like a cross between a pina colada and daiquiri, featuring Malibu, pineapple juice and fresh lime juice, with tartness provided by cranberry juice. The rock lobster is a bit boozier, adding dark rum along with Malibu, plus banana liqueur, fresh banana, grenadine and both orange and pineapple juices. Try a different style of frozen Malibu drink using wine as a mixer. The makers of Malibu suggest a "coconut frozé," a frosty blend of sparkling rosé wine, Malibu, lemon juice and simple syrup with crushed ice. The refreshing result combines the drinkability of rosé with the sunshine-y mellowness of the coconut rum, perfect for brunch, barbecues and pool parties. 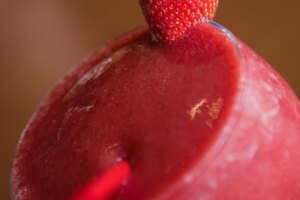 Bring Malibu from the Caribbean to Spain with a frozen sangria. You'll need red wine, frozen berries and lime juice along with Malibu. Blitz it all together with ice into a rich, fruit-packed slush that definitely fulfills your daily antioxidant needs (in case you need a good reason to try one). 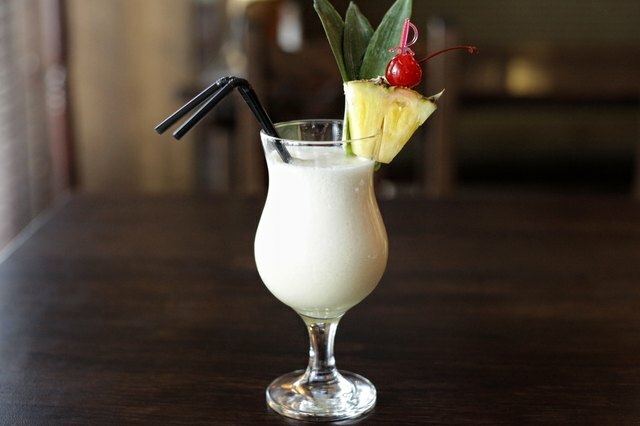 Frozen lemonade concentrate is a great ingredient for mixing with Malibu and crushed ice – it makes a delicious frozen cocktail in almost an instant. Blend approximately 2 tablespoons of concentrate, still frozen, with a similar amount of Malibu and a cup or so of ice, per cocktail. You can make the drink a little fancier by adding fresh mint leaves or raspberries. 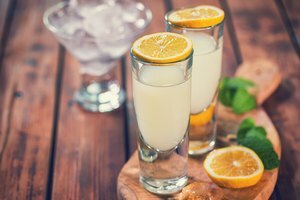 Also, check the frozen drink section of the supermarket for frozen pink lemonade, limeade or other varieties to switch up the flavors of this refreshing frozen rum drink. Include ice cream or sorbet in your frozen Malibu drink for an indulgent concoction that's part cocktail, part dessert. Choose ice cream or sorbet in flavors complemented by coconut, such as vanilla, chocolate or strawberry ice cream and raspberry, pineapple or lime sorbet. 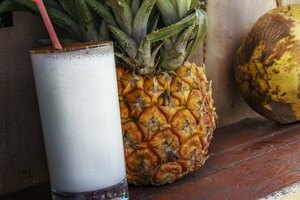 For milk shakes, add some milk, whether dairy, coconut or a nut milk, and for frozen sorbet cocktails, add coconut water or fruit juice to get a thick-but-drinkable consistency. What Can I Mix With Prosecco?